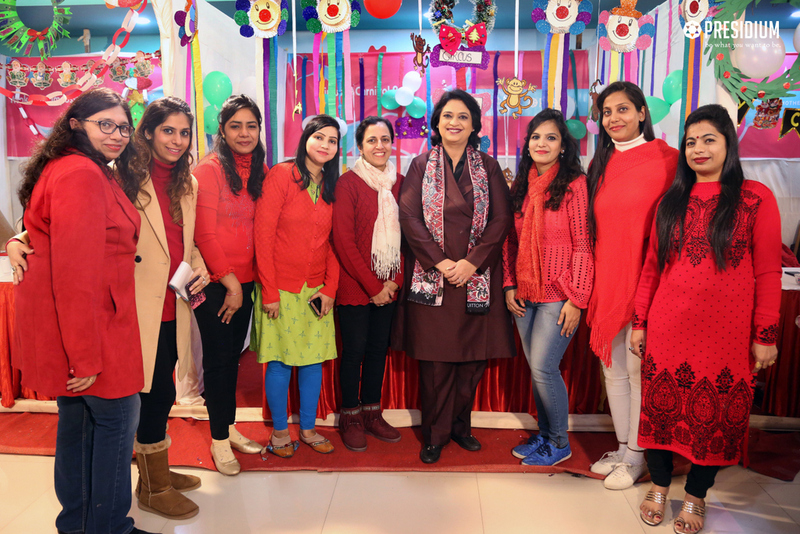 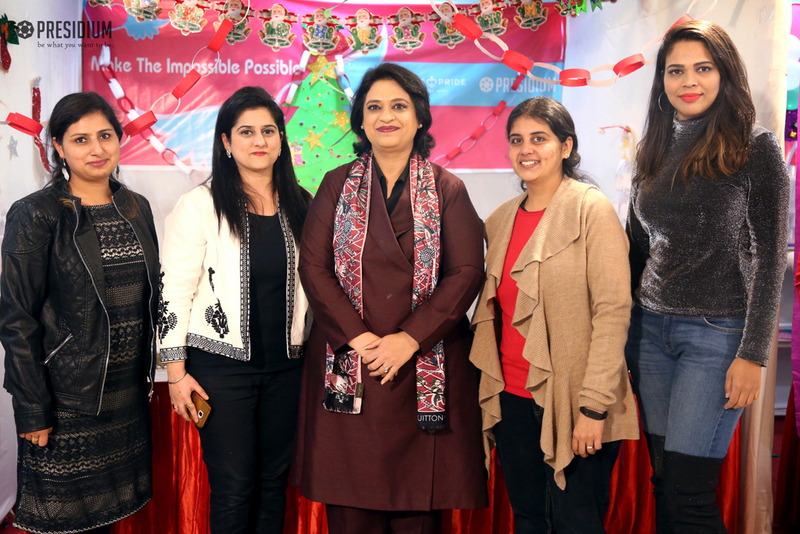 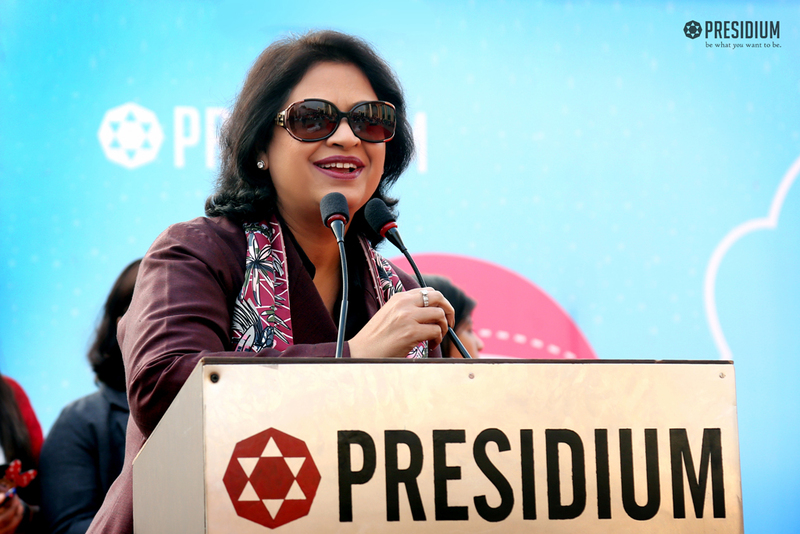 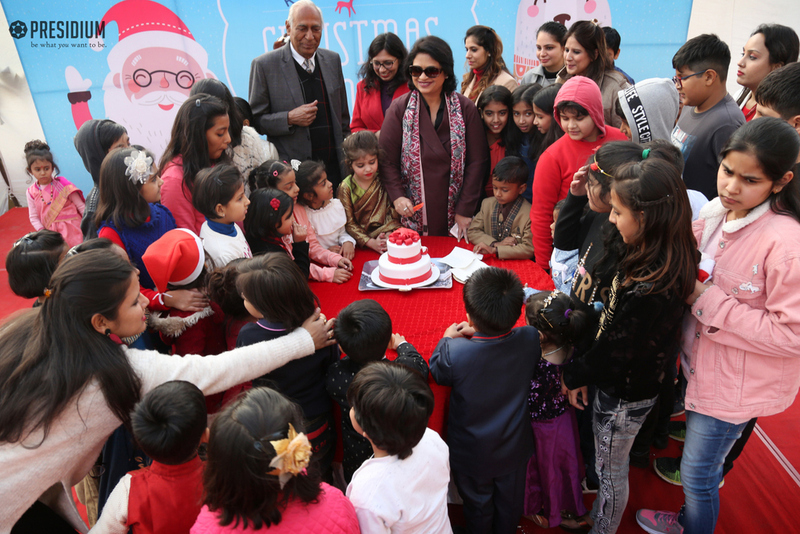 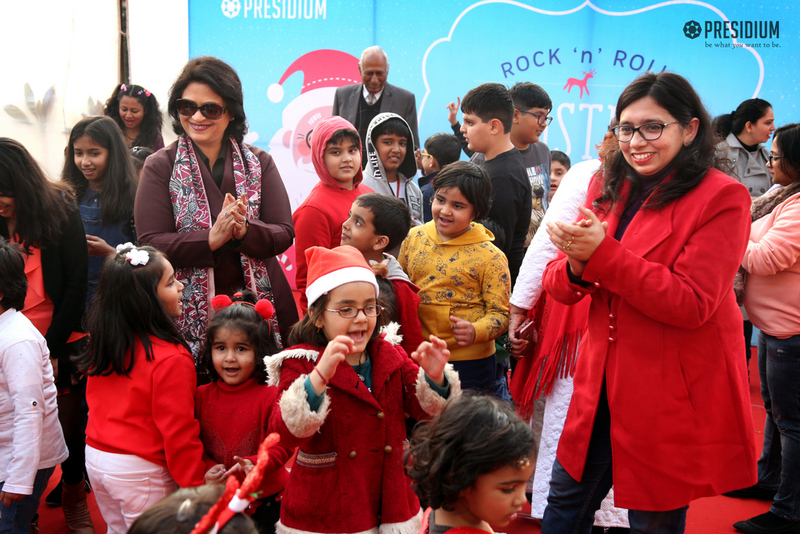 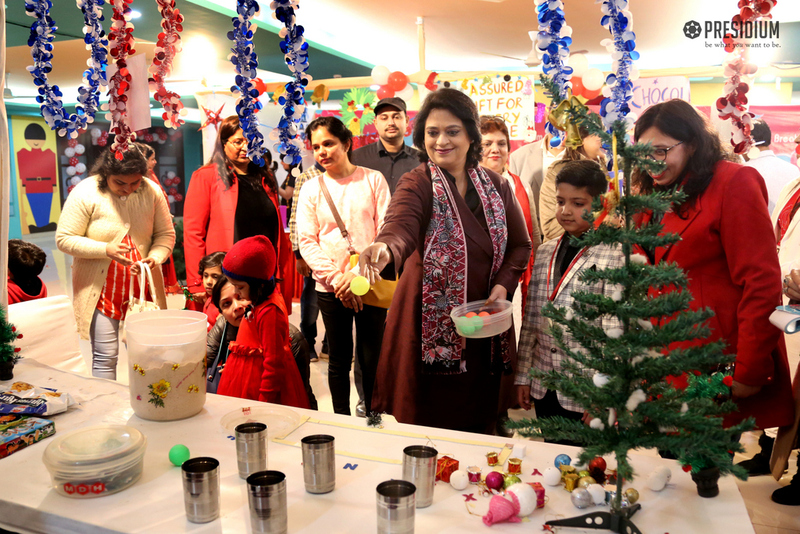 The festivities of the grand Rock ‘n’ Roll Christmas Carnival of Presidium Raj Nagar was complete with the presence of the honourable Chairperson, Mrs. Sudha Gupta. 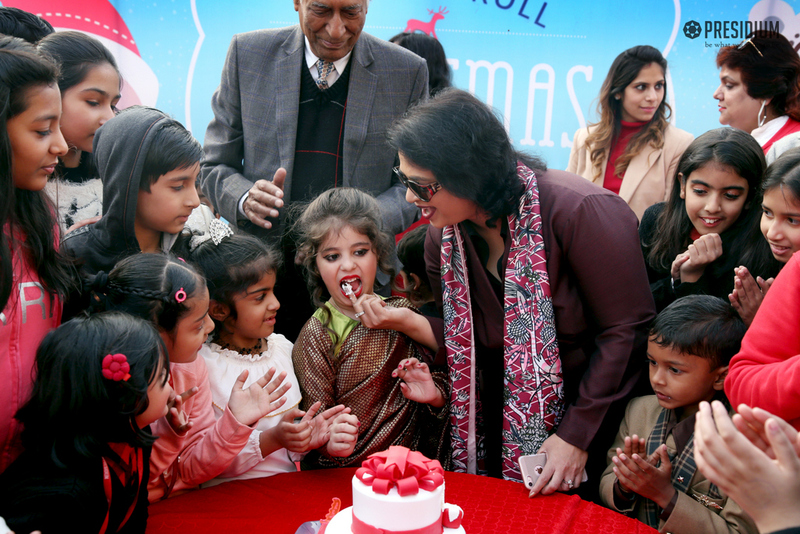 The young Presidians welcomed Ma’am with great warmth and love. 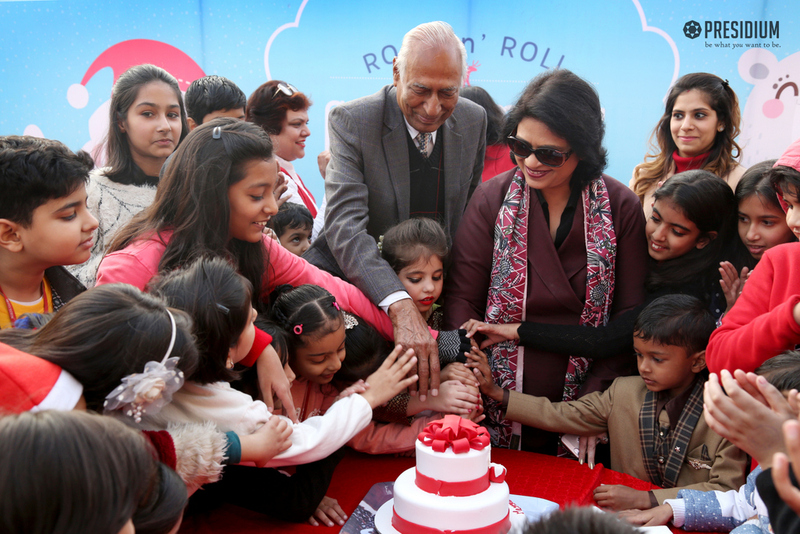 The proceedings of the carnival began with a cake cutting ceremony with our dear Sudha Ma’am. 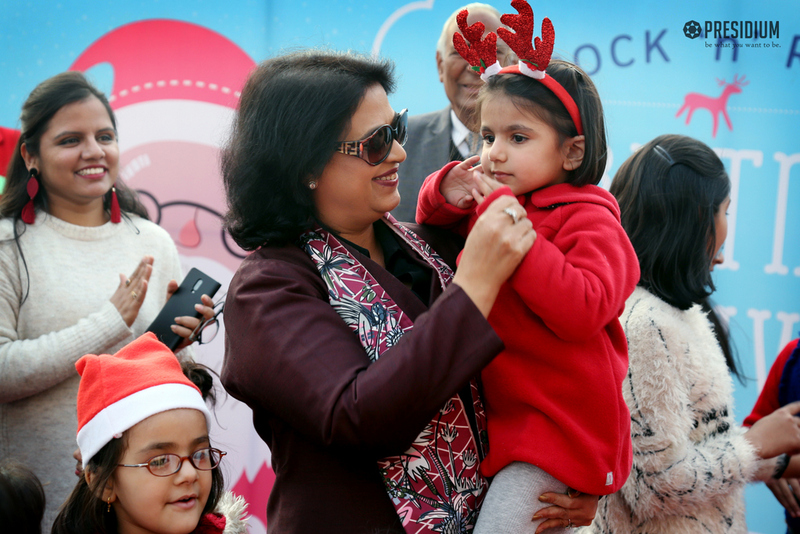 Ma’am wished the students and staff good luck for the event.